With both of my maternal grandparents born in Cuba, and both of my paternal grandparents born in Mexico, I am, indisputably, a third generation Latina. I learned Spanish before I learned English, celebrated Three Kings Day for the first decade of my life, and looked forward to my Cuban grandma’s incredible Christmas dinners—carne asada, frijoles negros con arroz, platanos maduros, y flan. I listened to my grandma’s stories in Spanish about growing up as the eldest of thirteen in Cuba, saw pictures of relatives I would probably never meet because they lived in a country Americans weren’t permitted to go to, and relished the warm, aromatic smell of café con leche in the morning. And yet, by the time I’d finished my tenth manuscript—the one that would become my debut, Beyond the Red—I still hadn’t written about a single Latinx character. Looking back, there were a lot of reasons why that happened. Firstly, I don’t fit the mold the media insists Latinx people fit into. I’m short—painfully so—and have dark eyes, sure, but that’s where the similarities end. Though I tan well when I spend time in the sun, I’m pale 99.9% of the time. My hair is brown, not black. I’m thin, not curvy. Though my pronunciation is native and I can understand it well enough, I’ve forgotten most of my Spanish. I’m not a flirty, exotic beauty who moves her hips like she was born dancing; I’m a tomboy, and awkward, and an introvert. My legal last name isn’t one of the common Mexican last names that’s easily recognizable as Latinx. When people look at me, they don’t see a Latinx person; they see a white kid. And for a long time while I was writing, I started to see myself as a white kid, too. I guess, in a sense, it was inevitable—no one in my immediate family looks like a stereotypical Latinx person; we are light-skinned (yes, even the Mexican side of the family), and my grandma is the one of the few of her many siblings who doesn’t have green or blue eyes (hers are hazel). My biological father doesn’t fit any of the Mexican stereotypes I’d learned; he burns instead of tans, he doesn’t like spicy food, and while he’s not super tall, he’s not exactly noticeably short, either. So I stopped saying it. I justified it a day at a time, with “I can’t even speak Spanish,” with “I don’t even look Latina,” with “I wasn’t raised in a vibrant, Latinx community.” I hesitated on surveys that asked me to check “Caucasian” or “Hispanic.” I started believing I didn’t count. So maybe it’s not a surprise that I wrote ten manuscripts without once considering writing a Latinx character. Maybe it’s inevitable that I didn’t feel it was my place to write a Latinx character. Maybe the fact that I never saw a character like me—Latinx, but light-skinned and unable to speak fluent Spanish—only reinforced this belief that I didn’t count. That I didn’t belong. But slowly, things are starting to change. 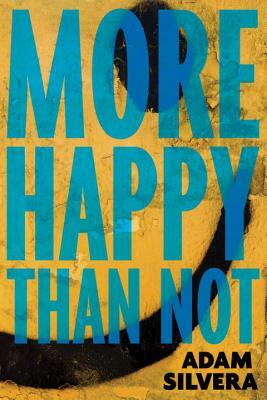 Adam Silvera wrote More Happy Than Not, and, for the first time, I read about a Latino boy who couldn’t speak Spanish. My friends online have spoken about being white-passing, about why this privilege so often hurts, about how people like me who feel stuck between two cultures without fitting completely into either exist. Slowly, I’ve begun reclaiming my identity. I’ve given myself permission to write characters like me. And after I finished Beyond the Red and realized some of my experience had seeped through—in my male protagonist caught between two cultures, and in some of the pronunciation of the language my female protagonist speaks—I couldn’t help but smile. Because even when I didn’t see it, being Latinx is, and has always been, a part of me. And I’m not going to hide it anymore. Ava Jae is a writer, an Assistant Editor at Entangled Publishing, and is represented by Louise Fury of The Bent Agency. 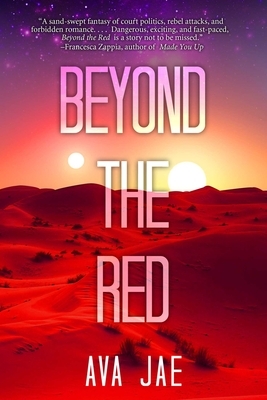 Her YA Sci-Fi debut, BEYOND THE RED, released March 1, 2016 from Sky Pony Press. When she’s not writing about kissing, superpowers, explosions, and aliens, you can find her with her nose buried in a book, nerding out over the latest X-Men news, or hanging out on her blog, Twitter, Facebook, tumblr, Goodreads, Instagram, or YouTube channel. Thank you so much for this piece. I grew up on a border town, and while I’m 2nd generation Mexican, “look the part”, and speak the language, I know exactly what it means to grow up stuck between two cultures. I can’t even begin to imagine how it’ll be for my whitexican kids, living in the deep south. So yeah, we need more books depicting characters who don’t fit the latinx mold. Congratulations on your book. Can’t wait to read it! Thanks so much, Diana! I’m glad to hear the post resonated with you and I totally agree we need way more books with Latinx characters who are different from what we’re used to seeing. Things are getting better, but there’s definitely room for more! Can’t wait to read your work with such interesting themes that you are exploring looking white but being Latina! This is so real and such a good article. I’m looking forward to reading your book. This article means so much to me. I am often judged by most Mexicans I meet because I am not Mexican enough. I love hockey, red headed guys, Canada, and I don’t speak Spanish. A lot of folks call me “white-washed.” I didn’t know being myself was such a bad thing. Maybe I am the truly diverse one, because I don’t even fit in with my own diverse background. It is good to see that I’m not the only person that struggles to fit in, wherever it may be.